The Helen business of wine making has been flourishing for decades, with Habersham Winery being a pivotal part of the local industry. Situated just a half mile down the road from downtown Helen, Habersham Winery stands proud as an area landmark, drawing visitors from near and far to experience the rich flavors and aromas of Georgia grown and produced wines. 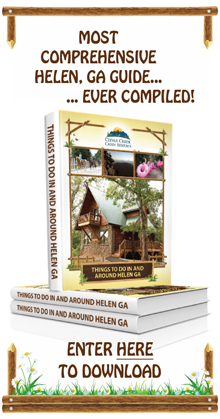 As you make plans to vacation in the Helen area, you'll definitely want to set some time aside to sample the award-winning wines of Habersham Winery. Habersham Winery first opened its doors in 1983 in Baldwin, Georgia. It wasn't until 15 years later that the construction of its present facility in Nacoochee Village was completed. 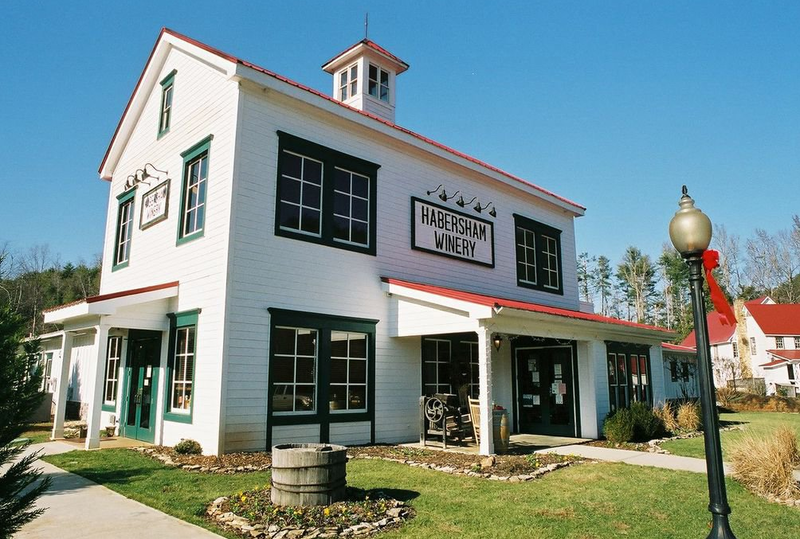 Since that time, Habersham Winery has become a leading Helen business, and is considered to be a staple in the local economy and tourism business. As one of the oldest and largest wineries in Georgia, some 150 tons of grapes are grown annually in Habersham's own Mossy Creek and Stonepile vineyards. These superior grapes are then used to produces an excess of 15,000 cases of wine per year. 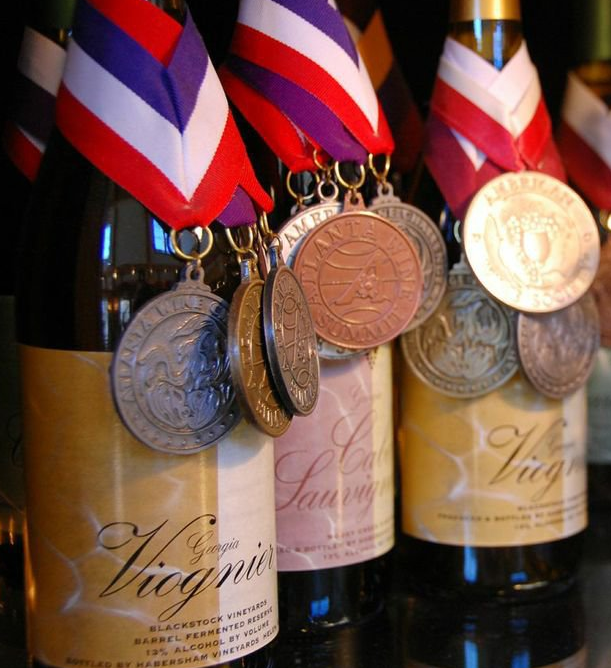 Habersham Winery has been honored with the bestowment of winning more than 150 medals in both national and international competitions, and continues to hold itself to the highest standards of quality in production and flavor to this day. 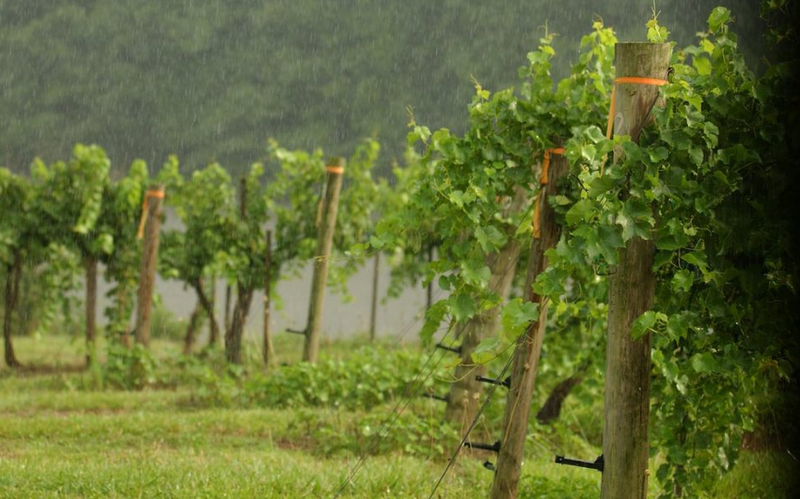 Habersham Winery produces a variety of wines to meet a wide range of tastes and needs. The expert staff are all trained to help you find a wine that will suit your unique palette, and are even prepared to make recommendations regarding which type of wine will best compliment a particular meal. The winery's Cabernet Sauvignon, for example, offers hints of vanilla and berry flavor which works nicely with beef and sharp cheeses. Cherokee Rose, on the other hand, is a drier wine that offers an intensely fruity flavor and is excellent with ham or barbecued chicken. Habersham's newest wine, Traminette, offers a citric nose with a crisp, fruity finish, and is highly recommended for use with spicy Asian foods. When enjoying a dessert, consider Chilet, which offers a blanked, sweet flavor. Many visitors to this esteemed Helen business are very interested in which wines are the top sellers. The Habersham Chardonnay is one of the more popular wines, as it is known to compliment a wide array of different foods. The wine presents hints of apples and pears with a buttery note. In terms or red wine, Habersham's Scarlett is a non-vintage off dry blend. The wine features aromas and flavors of rich, ripe black and blueberries, and is ideal as an "every day" wine. Peach Treat is a popular pick for those visiting Georgia during the summertime, as the wine evokes the sensation of biting into a fresh peach. For those looking for a bold wine, Creekstone Merlot offers brilliant cherry with a hint of blueberry aromas. If you're interested in a more traditional, Italian-type wine, you'll want to consider Habersham's Sangiovese. This particular flavor is light bodied, and offers cherry, raspberry, and strawberry flavors. Those who prefer the dominant flavor of grape in their wine will relish in the deep, rich aromas of White Mascadine. And for a lighter "daytime" wine, ask about Belle Blush, a sweet and fruity blend that's perfect for sipping on the patio of your cabin. In order to get the most out of your visit to Habersham Winery, there are a few things you should know before you come. Helen business hours for the winery are applicable throughout the year, with the exception of major holidays. You can visit from 10:00AM to 6:00PM every Monday-Saturday, or from 12:30PM-6:00PM on Sundays. When you enter the facility, you'll notice that you are able to actually view the production area, which includes the tank room, bottling line, and barrel room, right from the tasting room. Here, one of the expert staff members will offer you a selection of wines produced on-site for you to choose from. Any questions or requests for professional recommendations can be directed to them. You'll have the option of picking 4 different wines to sample for free during your visit. After sampling the wines of your choosing, you can purchase a bottle to enjoy back at your cabin, to take home with you, or even as a gift for a loved one. Habersham Winery also houses a gift shop that offers gourmet foods and specialty items to complement the wines that you've purchased. Whether you're planning a romantic picnic or evening in, you'll find everything you need. Which local wines have you tried during a visit to Habersham Winery? Share your experiences and recommendations with future guests. **All images are from Habersham Winery Picture Gallery.